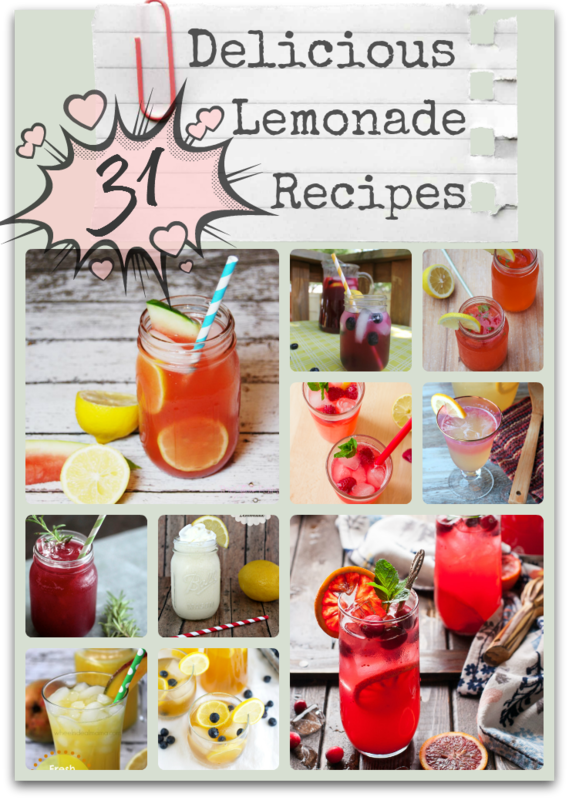 31 Delicious Lemonade Recipes - Frugal Mom Eh! 31 delicious lemonade recipes perfect for cooling down from the summer heat with. There is nothing like a cool drink of lemonade! With the temperature rising and the sun staying up later, it’s nice to have something cold, refreshing, and most importantly, yummy to drink. 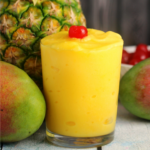 Lemonade is something that can be made numerous ways to please every palate and there are plenty of different lemonade recipes out there! Lemonade recipes can be so versatile that you can drink them all day long and never have the same drink twice. 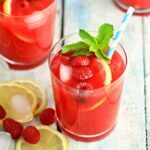 This roundup of thirty one delicious lemonade recipes is enough to try a new drink every day for a month! There’s plenty of fruity versions to have in the morning. Skip going out to lunch; you can make copycat versions of Red Robin’s freckled lemonade or Applebee’s kiwi lemonade. Throw some fresh rosemary, thyme, or cucumber slices in a glass and you’ll feel like you just left the spa. And if it’s been a long day, there’s lemonade cocktails to take the edge off. There’s something about lemonade that makes you want to just kick back and relax. It makes time seem to go slower, stress leave your body, and memories of lemonade stands with cups for a quarter flood back to you. With all of these lemonade recipes, you’ll know that when life gives you lemons, you’ll be enjoying every single one! Wow, that’s a lot of lemonade recipes. 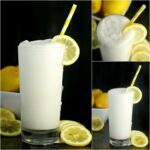 I could do with some warm weather to go with a glass of lemonade – it’s been snowing madly here all morning! mmm Sparkling Raspberry Lemonade!!!! Gotta try that! Love lemonade in the summer so I will have to try some of these out! Lemonade is so refreshing in the summer. I definitely want to try the Cucumber Lemonade recipe! I love lemonade — it’s so refreshing and invigorating in the summer. 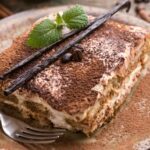 Thanks for sharing all these recipes — I can’t wait for the weather to get really hot so I can enjoy them! They all sound so great but I am most interested in trying the Blackberry Basil Lemonade. That really sounds refreshing. So many delicious ways to make lemonade and quench your thirst! Wow! I never thought to do all these things with lemonade!